Below are a list of common male incontinence FAQs. If you have a question that is not covered below then please contact our team on 020 7432 8297 or email londonurology@hje.org.uk. Incontinence is the inability to control the passage of urine. A symptom rather than a disease, incontinence can range in severity from an occasional, small amount of urine passing to constant leaking to the complete inability to hold any urine. Some men experience incontinence after prostate surgery or urine leakage during physical activity. What Are Urge Incontinence & Stress Incontinence? Urge incontinence, a major symptom of overactive bladder, occurs when you have a sudden, urgent need to urinate and leakage occurs before you reach a bathroom. Stress incontinence is due to weakened pelvic floor muscles or damage to the urethral sphincter. Stress incontinence is when leakage occurs due to stress such as a cough, sneeze, laugh, or physical activity. Ninety percent of those who have this symptom are women. Each type of male incontinence has its own causal factors. Stress incontinence can be caused by a variety of factors: prostate surgery damaging the sphincter muscle, being overweight, genetic weaknesses, radiation therapy or other chronic conditions. Urge incontinence (overactive bladder) is caused by damage to the bladder’s nerves, nervous system or muscles. Overflow incontinence is caused by weak bladder muscles, blockage of the urethra, or medical conditions such as tumours. Functional incontinence is caused by mental confusion associated with dementia or arthritis that slows the person’s ability to unbutton or unzip clothing or to get to the bathroom in a timely manner. Is There Help For Male Stress Incontinence Associated With Prostate Surgery? In general, stress incontinence is an acquired form of incontinence after prostate surgery, most commonly prostate removal for cancer. Most men do not have trouble with incontinence for more than a few weeks or months after prostate surgery. Sometimes the leakage is a result of irritation from the catheter that was in place after surgery. Sometimes it is due to weakness or damage to the sphincter muscle that normally holds in the urine. Most men find that the leakage disappears in four to six months. However, the amount of incontinence after prostate surgery is fairly unpredictable and can vary from person to person. You can arrange an appointment with a Consultant to discuss your particular symptoms after having prostate surgery. Typically, the Consultant may suggest an exercise regimen to strengthen the muscles in your pelvic area and may also prescribe medication. If neither of these is successful, they may advise various procedures such as male slings or an artificial urinary sphincter. The treatment chosen will depend on your personal situation. How Does Incontinence Impact Quality Of Life? If you are struggling with urinary incontinence, you may experience changes in your behaviour, emotions, social relationships, effectiveness in your job, and mental well-being. You may decide to reduce your fluid intake, wear incontinence pants or absorbable pads, switch from high to low impact exercise, or forgo active work or lifting moderate weight. Emotionally you may feel that you’re no longer yourself, that you’re losing control and that you can no longer do the things you love to do. This can also impact your social activities if you are self conscious or embarrassed. You may feel frustrated with your uncooperative bodily functions and view your treatment options as being limited, particularly if you don’t want surgery. Some people report feeling ashamed and suffer from lowered self esteem due to being incontinent. It is important that you seek care from a Consultant Urologist who may be able to provide treatment that will help with your condition and should improve your quality of life. What Can I Expect At My Initial Consultation At London Urology? What Can I Do To Better Manage My Incontinence? You can strengthen the muscles of your pelvic floor through bladder retraining or exercises. You can retrain your bladder by urinating on a schedule, whether you feel the need to go or not. You gradually increase your intervals by 30 minutes until you are only urinating every 3-4 hours without leakage. Exercises require that you contract your pelvic muscles for 10 seconds at a time and then relax them for 10 seconds. You will do this 10 times in one session and repeat each session three times per day. 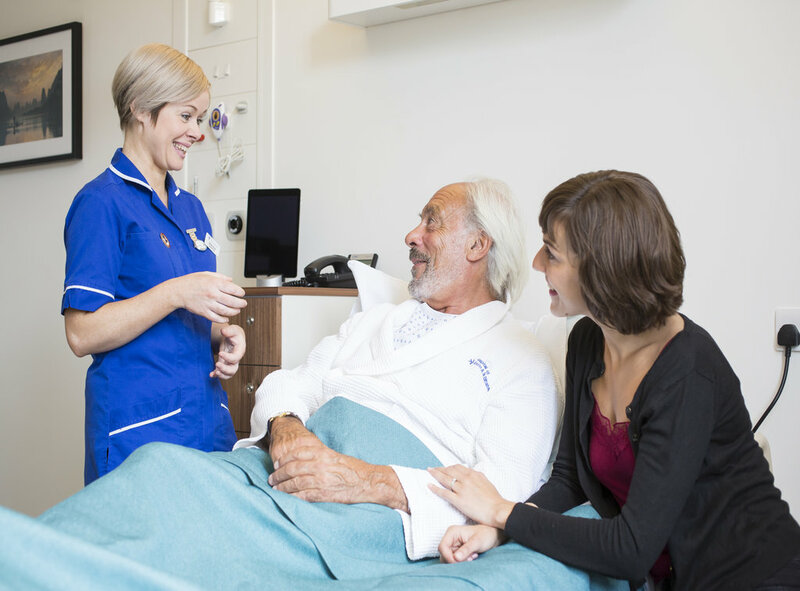 If you have a further question about incontinence or would like to book an initial consultation you can contact our urology team on 020 7432 8297 or email londonurology@hje.org.uk.